Content marketing goes well beyond publishing whitepapers and blogs. 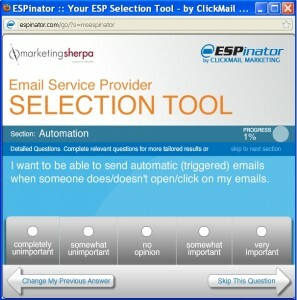 Your company can provide videos, slide decks, webinars and even Web-based tools — like ClickMail’s ESPinator. ClickMail pairs companies with email service providers (ESPs) and helps them establish effective programs. 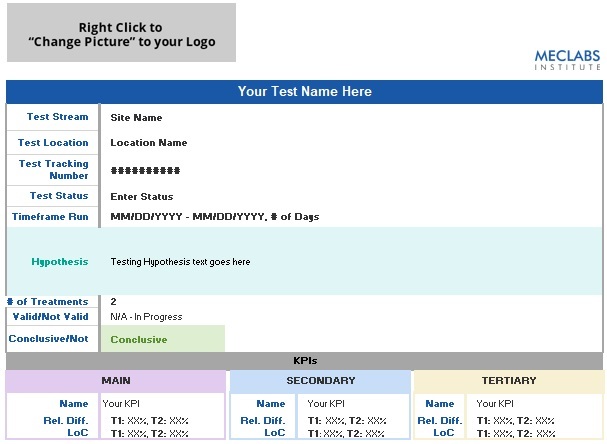 For years, its marketers have published a blog and an annual PDF guide on how to select an ESP. The ESPinator is the next step in that strategy, Marini says. 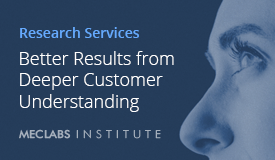 Launched in early 2011, the tool asks users a series of questions and suggests up to three ESPs that are well-suited to their needs. Content marketing requires investment. Someone has to create stuff and it has to be really, really good. You can either invest your time or pay someone else to do it. Either way, there is no free lunch. This is also true of ClickMail’s ESPinator, which took longer than two years to create. One of the team’s biggest challenges was designing its scoring system. Each ESP had to be rated in various categories to be comparable with each user’s needs. For example, one category is an ESP’s depth of integration with salesforce.com. 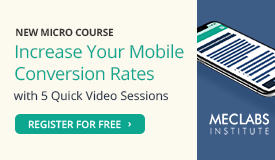 ClickMail worked to promote the tool and launched it at the annual MarketingSherpa Email Marketing Summit 2011 , which is the email industry’s largest vendor-neutral event. 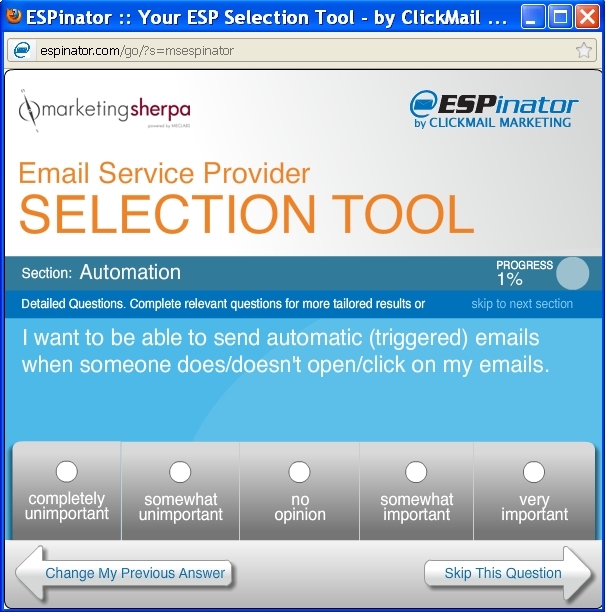 Ultimately, ClickMail hopes the ESPinator will be helpful to marketers while showing off the company’s expertise and attracting attention to its services. The espinator looks like a great tool, but I couldn’t find any information on which ESPs are listed in it. Could you enlighten us before we spend 3-30 minutes?